Experiential learning helps students apply what they learn in the classroom to the real world, discover their passions through hands-on projects, and make an impact on the world around us. 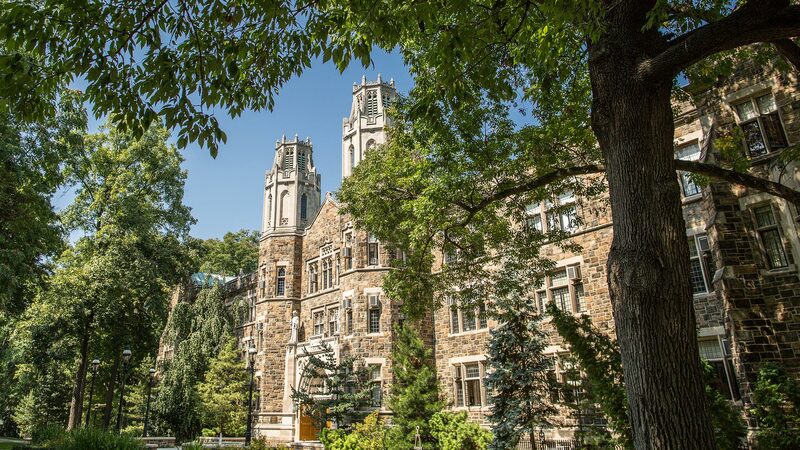 It is a student-centered approach that builds on Lehigh's proud tradition of engineering, with learning environments and approaches design for, and fueled by, the concept of creative inquiry. Bioengineering focuses on advancing human health through bio inspired technologies and the development of new biomedical approaches and techniques. Thinking manufacturing? Think again, and think bigger. ISE is distinctive because its tools can be applied to any business in any setting, from production to services, in either the private or public sector. Accredited since 1936, the department offers one of the nation's leading materials science and engineering programs. Mechanical engineering is one of the broadest engineering professions, dealing with the design, construction and operation of various types of machinery. We offer an internationally recognized education and research focus areas in materials processing, environment and energy, bioengineering, and systems and information. We offer internationally recognized education and research programs in structural, environmental, geotechnical and water resources engineering. Computer Science and Engineering is at the core of the information age. To prepare our students for the tremendous opportunities in the field, the CSE Department is strongly committed to excellence in both education and research. Research and educational programs are enhanced by strong interdisciplinary interactions with other departments in engineering, mathematics, and science. We believe that interdisciplinary research is our best hope for addressing the complex challenges that lie ahead. Lehigh’s Interdisciplinary Research Institutes (IRIs) bring together leading faculty and graduate researchers from a variety of fields to focus on a specific challenge. This innovative approach allows these research teams to use their combined strengths to confront problems from every perspective and to develop multifaceted solutions. The Institute for Functional Materials and Devices (I-FMD) focuses on synthesis, fabrication, processing, and characterization of materials, devices and related systems. Existing research interests include photonics and electronics, metals, ceramics, biomaterials, polymers, and composites, and incorporate devices ranging in size from the nanometer and micrometer scales and beyond. The Institute for Data, Intelligent Systems, and Computation (I-DISC) is devoted to the study of problems that involve massive amounts of data and/or large-scale computations, and developing the science that enables the extraction of useful and actionable information across disciplines and research fields. Research within the Institute for Cyber Physical Infrastructure and Energy (I-CPIE) underpins all aspects of modern society. The demands and impacts of society’s reliance upon energy, communications, structural, and transportation systems requires a broad approach that’s focused not only on engineering systems, but on improving people’s lives.